The Grand Build Hall will showcase products to advance any and every project, from adding an extension to a home, to renovating a period property. Aspiring self-builders will find ground-breaking ideas for builds ranging from construction and architecture advice to finishing touches, as well as the latest developments in sustainably sourced products.A selection of renowned build suppliers including Kloeber, Grabex Windows, Internorm, and Weather Proof UK, and Maxlight will offer an array of top-quality essential materials and services necessary for home builders. Flight Timber Products Ltd will showcase their services which provide bespoke self-build, timber-frame homes, as well as project management facilities and more. Visitors can also discover oak framed extensions and buildings from carpentry and joinery company D&H Oak Framing, while new exhibitor Sunsquare will be showing their designed-for-purpose high-end skylights. Innovative and award-winning entry doors from Pirnar, complete with elegantly concealed handles, hidden fingerprint readers, automatic night illumination and beautifully handmade smooth surfaces, will also be on show. Visitors can also browse products from Centor Europe Ltd, the award-winning designer and manufacturer of top-quality architectural hardware for folding doors, effective systems for insect screens and highly acclaimed Centor Integrated Doors. A must-see this year, visitors will have the uniques experience of watching a live build take place, using the U-Build concept as developed by Studio Bark with help from Structure Workshop and Cut and Construct. The construction will grow each day, with the opportunity for visitors to take part in assembling components to be used in the final build. Those with a desire to embrace the eco-movement can find innovative eco-conscious designs from experts in ‘Passivhaus’ and sustainable architecture, Gresford Architects. Not to be missed, renewable energy innovations from Award-winning brand Solar Plants, will showcase their solar PV and battery storage technology, and market-leading solar tiles which create stunning roofs with the look of natural slate, combined with integrated solar technology. Grand Interiors and The Design Arcade will offer stylish ways to finish a home. Here, visitors can discover exclusive products from unique designers and browse hundreds of brands including Furl Living Furniture and Dappr-Aviation Ltd. Adventures In Furniture will be unveiling their latest additions to their interior furnishings range, while those looking for a bespoke edge to their home can check out Contemporary Chandelier Company, who design, build and install sculptures in light and glass. Another highlight, not to be missed is J.A.M.S. Ironwork who restore, design and build one off vintage industrial lights and furniture from salvaged vintage, antique and mid-century components. While The English Panelling Company produces open-backed panelling options that will completely transform any room, giving it a vintage-inspired look, with a modern clean finish, and easy installation. Grand Kitchens offers pioneering kitchens and appliances from the likes of Total Kitchens by George Rose and Cooks & Company. Showing again, after a successful run at the show in 2018, Bora will be presenting their premium cooktop extractors, Mobalpa will be showing a wide assortment of fully equipped designer and classic kitchens, bathroom models, living and functional storage as well as home appliances, while striking marble and granite worktops from The Marble Group and stunningly designed bespoke kitchens from Anthony Mullan Furniture are not to be missed. Scavolini will make the UK premiere of its brand new Delionea Kitchen range, featuring a contemporary look, this range blends a range of styles and requirements of everyday living. Kitchenex will be showing brand new products for 2019 from ILVE, alongside the very latest in extraction technology and style from Faber. Award-Winning furniture company, Uncommon Projects specialises in the designs, manufacture and installation of freestanding and fitted kitchens and for their first time at Grand Designs Live they will showcase a fully installed mid-century-inspired design constructed from their speciality material: high-quality, hardwood-veneer birch plywood, diaplying the brand’s signature minimalist, material-led style. Visitors to Grand Designs can also be in with a chance to win over £10,000 worth of kitchen and laundry products from Fisher & Paykel, featuring innovative design, particularly with relation to usability and environmental awareness. From bespoke fitted to free standing, and from strategic design to storage, visitors will find solutions to all their culinary needs; along with the cutting-edge finishing touches that are essential to any kitchen. Grand Bathrooms, another highlight at this season’s show, will include exhibitors such as QX Bathroom Products, which are recognised for quality, innovation and value for money, offering some spectacular options to satisfy every individual taste and budget. Italian brand Scavolini will introduce a new bathroom range, Diesel, which comprises of functional, innovative design solutions, with a high degree of customisation. 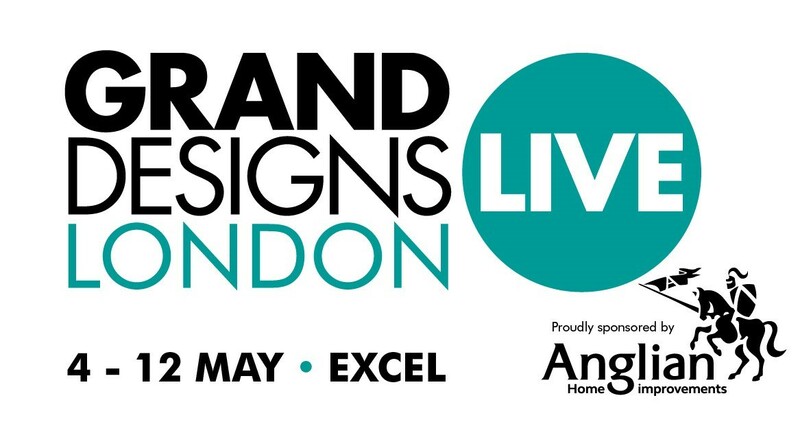 Other exciting brands on show include Anderson Sinclair who design, build and finish unique bathrooms, while Cubico will showcase their range of bathroom products and suites including taps, toilets and shower enclosures and more. Those with an interest in the Grand Gardens section, can discover brands spanning a variety of areas of interest including outdoor cooking, swimming pools, garden buildings, hot tubs, landscaping and much more. Sponsored by Hydropool, visitors can explore an abundance of new and exciting ideas, including beautiful, premium and hand-crafted garden office, summerhouses, studios and sheds from Malvern Garden Buildings will inspire garden lovers. Starlight Pools will showcase their fibreglass swimming pools along with an enclosure that goes above the pool making it ideal for use in patios to create outdoor living spaces. For a truly unique garden feature, visit Breeze House to experience their stunning luxury garden gazebos & thatched garden buildings. With more brands yet to be announced, visitors can expect invaluable inspiration for everything from renovations to home builds, decorating and much more!